Peelbanners are also known as magic corners or pagepeels. They are displayed as a small animated corner of the page and wakes the curiosity of most users. Only if the user moves his mouse onto, it peels impressively over the real homepage. Look at the upper right corner of this page, there you have an example of this peel banner. Move your mouse over it and look what happens. Wouldn't this be also a strong feature for your site? ➨ To get best results use pictures not smaller than 455 x 445 px. 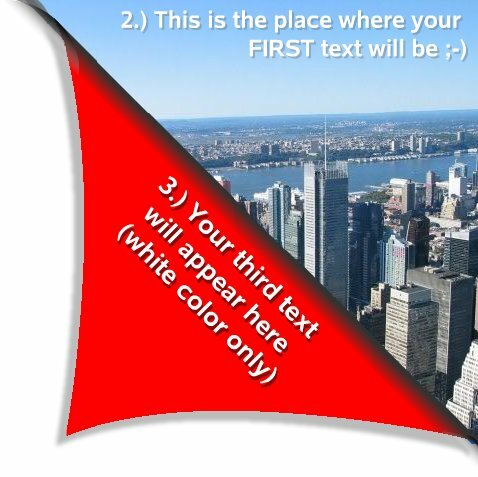 3 templates in the category peelbanner.